Isla Fisher first jumped into the spotlight in the early mid-2000s, in films like WEDDING CRASHERS and HOT ROD, and she’s been making us laugh ever since. 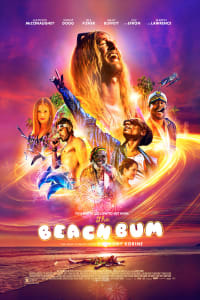 Now, Fisher stars in THE BEACH BUM, opening on March 29, as Minnie, the wealthy wife of an eccentric writer and party hopper played by Matthew McConaughey. Fisher and McConaughey star alongside a wild collection of co-stars, including Snoop Dogg, Zac Efron, Martin Lawrence and Jonah Hill, in a spaced-out story from SPRING BREAKERS filmmaker Harmony Korine. Seeing the first footage of Fisher in THE BEACH BUM made us think about our favorite performances from the comedy powerhouse. Here’s a look back at Isla Fisher’s best roles. Fisher takes the concept of a romantic crush to a whole new level in WEDDING CRASHERS. She plays Gloria Cleary, a possibly psychopathic woman who becomes obsessed with Vince Vaughn’s character, Jeremy Grey, after they meet at (where else?) a wedding. Fisher’s performance embodies the movie’s over-the-top style. She plays Gloria’s instability for huge laughs, making the character an unpredictable, but oddly relatable — and at times somewhat scary — presence. Despite her relatively limited screen time, Gloria is one of the film’s biggest highlights. Two years after WEDDING CRASHERS, Fisher was a shining star in the supercharged comedy HOT ROD, an early project from the Lonely Island trio: Akiva Schaffer, Andy Samberg and Jorma Taccone. Samberg stars in the film as Rod Kimble, an aspiring stuntman and friendly doofus in love with Fisher’s character, Denise. 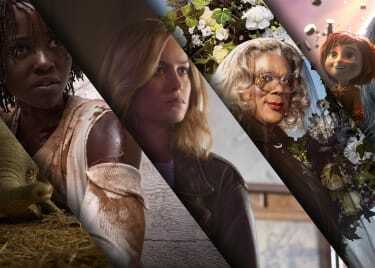 Veering in a very different direction from her breakout role, Fisher plays Denise as calm and composed; she’s effectively one of several characters written to play straight against Samberg’s outlandish character, and she’s the perfect balance for his manic energy. In DEFINITELY, MAYBE, Fisher appears as the free-spirited adventurer April, who becomes one of the three most important women in the life of Will Hayes (Ryan Reynolds). Fisher’s April is introspective and funny even as she deals with more than a few emotional burdens. Fisher shines in scene after scene and imbues the movie with incredible charm and real emotional resonance. Her personal quirks and inadvertently hurtful responses add to her image as a rounded character and serve as the perfect foil to Will’s sarcastic personality. In this charming romantic comedy, Fisher steps into the designer shoes of Rebecca Bloomwood, a talented journalist with a serious shopping addiction. Despite her poor financial decisions, which lead to serious money woes, she finds success writing financial advice columns for a business magazine under the pseudonym “The Girl in the Green Scarf.” Fisher crafts Rebecca as a complex character who can deliver huge laughs with scenes of fearless physical slapstick before switching gears into emotionally effective reflection. The Western homage RANGO is the unlikely story of a chameleon stuck in a town filled with strange creatures. After Rango (voiced by Johnny Depp) is stranded in the Mojave Desert, he meets an iguana named Beans, who leads Rango to a town with big problems. Fisher voices Beans and completely loses herself in the part. Director Gore Verbinski (PIRATES OF THE CARIBBEAN) encouraged actors to play off one another while recording their voices, which isn’t how animation always works. The results can be heard in Fisher’s complex performance, which projects both strength and vulnerability as her iguana character navigates some very difficult — but still exceptionally funny — situations. Fisher stepped into new territory once again for NOW YOU SEE ME, in which she played escape artist Henley Reeves, who is part of a crew of Robin Hood-like magicians. Fisher projects an unshakable confidence as she and the rest of her crew face off against the FBI and a skeptical former magician. Thanks to Fisher’s work, Henley always appears to have situations under control — and even in an all-star cast full of scene-stealing talents like Jesse Eisenberg, Woody Harrelson, Dave Franco, Mark Ruffalo, Mélanie Laurent, Morgan Freeman and Michael Caine, Fisher stands tall as one of the most memorable performers. THE BEACH BUM surfs into AMC on March 29.